To initiate a file download, click the Version link for the desired program. EEGer4 version 4.4 is the latest and most functionally capable version to date. 4.4 boasts more device support and also offers new HTML game capability that is unavailable in version 4.3. Please note that all future development, including updates, will be exclusively for EEGer4 version 4.4. This version of EEGer4 is what you want for tryouts. Almost everything works without licensing except live neurofeedback (but recorded playbacks do work). EEGer4 is a prescription device. If you are using EEGer4 version 4.3 and would like to upgrade to EEGer4 version 4.4, please contact EEG Store at 888-521-9803. Note: EEGer is not officially supported on Windows XP since Microsoft support has ended. We cannot fix any issues with XP. Note: The 4.3 series of EEGer4 has reached end of development. Ask about a trial period. 1.13 183 mb 2019-04-09 Works in Dual display mode (not single-monitor mode). Lotus Pond will run best on a computer with a dedicated graphics card/chipset. Requires EEGer 4.4 or later. Ask about a trial period. 1.13 43 mb 2019-04-09 Works in Dual display mode (not single-monitor mode). Potions will run best on a computer with a dedicated graphics card/chipset. Free but requires a license file from EEG Store. Just ask. 1.0 25 mb 2018-12-21 Works in Dual display mode (not single-monitor mode). Will run best on a computer with a dedicated graphics card/chipset. Requires a license file from EEG Store. Ask about a trial period. 1.02 80 mb 2019-04-09 Works in Dual display mode (not single-monitor mode). Will run best on a computer with a dedicated graphics card/chipset. Works in Dual display mode (not single-monitor mode). 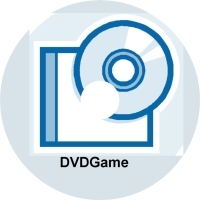 Also available from EEGer Installation CD menu, Additional Game Installs. Latest release of Chomper allows for Ethernet communication in two-computer mode or Dual Monitor mode. This version works with either MPC-HC or VLC (some versions). Both are open source players. MPC-HC is a lighter-weight player. When used with MPC-HC, the overlay otion is not available. Please use the White or Black options only. VLC 2.1.x does NOT work. Note: THIS version attempts to put the video on the correct screen even if you messed up. XP version is for OLD systems where the normal installation doesn't work! Requires 4mation Picture Pack license for this subset. 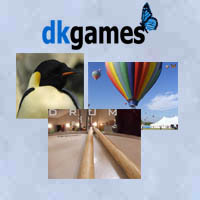 Note EEGer4 version 4.4.and later only EEGerXPix 142 MB 3/3/2016 Note: You must still manually add the folder EEGer\games\xpix to the options on line 1101 of the Game Initialization Tool settings. Additional sound files EEGerXSounds 1.4 MB 3/3/2016 Note: You must still manually add the sounds in EEGer\games\xsounds to the options on line 2020 of the Game Initialization Tool settings. Click the KLDongleInstall.exe link at left and save the file to disk. (Transfer to the EEGer Therapist computer, if necessary). 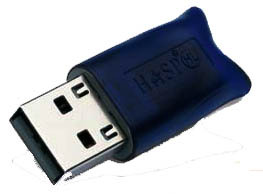 UNPLUG the EEGer USB Dongle from the computer. Double-click the downloaded file, KLDongleInstall.exe to UNinstall the drivers. Select UNINSTALL checkbox on lower left. Click on Begin Uninstall and let it finish. Double-click the downloaded file, KLDongleInstall.exe to install the drivers. For Dongle Type, check USB Dongle. Installation Type is Standalone. Plug in the EEGer USB Dongle. If Found New Hardware Wizard appears, follow prompts to install automatically. This installer updated in 2014 !!! Installer for esiPro amplifier drivers and Demo/Test program for 32-bit OS. Installer for esiPro amplifier drivers and Demo/Test program for 64-bit OS. Note: you might also just use the FTDI generic drivers below. File extracts contents of installation to a folder on the hard drive. Also available on EEGer Installation CD, Version 4.1.5 or later - Explore CD Drivers folder. File installs updated drivers which may also be used for adding hardware. Restart may be required. FTDI 2.12.14 drivers CDM21214_Setup.exe 2 MB 2016-02-02 The Febraury 2016 FTDI drivers should work for Brainmaster AND TTUSB AND CQuick and assorted others. Remember, you may have to install it twice (once for the USB and once for the serial devices). 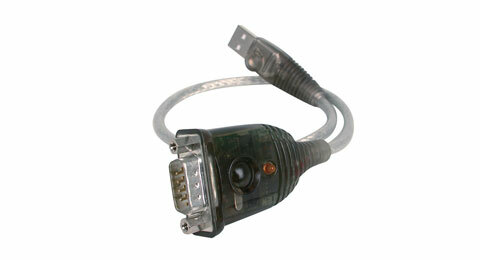 Atlantis FTDI Drivers usbfilesOLD.zip 1.9 MB OLD These are the 2012 Brainmaster USB files. Note: This is the Windows 7 driver for 32 and 64 bit systems. Connects to www.aladdin.com for download. Instacal utility to register/interface with Measurement Computing I/O devices icalsetup 30 MB Measurement Computing driver for A/D and D/a boards. Export raw files in SKIL format. Create/Install emailable remote flash drive data. Used by clinician to make emailable file of remote flash drive contents. Used by remote users to 'build' a remote flash drive from an empty flash drive in case their's is broken/lost. Used to package a session plan into an emailable file. The packaged plan can then be installed on another existing client/protocol class or emailed to another clinician. Also, can package up presets for transfer/email. SeeActions 1.0 InstallSeeActions 6 MB 3/5/2015 Tool to view/save sequence of actions/keystrokes in a stored data file. Designed to assist mentors and training in EEGer use. Tech support package 3.0 InstallTechy 500 KB 4/23/2016 Installs techmenu, commcheck, kinfo all at once. WindowsXP-KB936929-SP3-x86-ENU 331 MB!!! This is the Windows XP sp3 update just for people still on XPsp2. Please disconnect from internet after download and before running this. Takes several hours (or more) to run. Provides common setup for ICAN study. Revised to forcibly install the special test plans if setup for ican is selected. Study data exporter for blind exports v.1.4 Set_ExportStudy_Up.exe 5.6 MB 12/27/2015 Adds utility to export study data including hidden files but masks them for blindness. Edit data files for sham data studies v.1.7 Set_Editsham_Up.exe 1.7 26 MB 2/21/2017 Use matplotlib to edit data files to remove data loss and artifacts for sources for sham data.